Here's a very quick outline of what we'll cover in this tutorial. 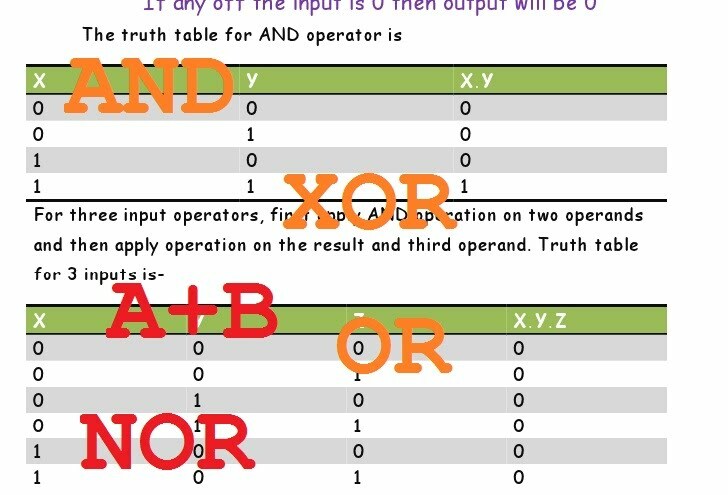 The tutorial document at the end will cover these sub-topics in greater detail, with examples and truth tables. Then, Complement all the terms in the expression. A GATE is an electronic circuit that operates on one or more signals to give an output. Gates are two state circuits i.e. the input or output can be either low or high (0 or 1). A NOT gate performs the not logic that is, it gives the inverted value of input signal as output. It gives a high output for a low input and a low output for a high input. If the input is X then output is X’ hence the output expression for not gate is F(x) = x’. high. For a two input NAND gate, output expression is F(x,y) = (x . y)’. Both NAND and NOR gate are very special gates as any Boolean expression can be realized by using only NAND or NOR gate. The tutorial document will show you how. Replace every gate by NAND/NOR gate according to realization you want to carry out. You might understand this better once you read the tutorial. Companion MCQ Quiz for Boolean Algebra- test how much you know about the topic. Your score will be e-mailed to you at the address you provide. Companion MCQ Quiz for Logic Gates- test how much you know about the topic. Your score will be e-mailed to you at the address you provide. De-morgan's laws. Logic gates. 2 input and 3 input gates. XOR, XNOR gates. Universality of NAND and NOR gates. 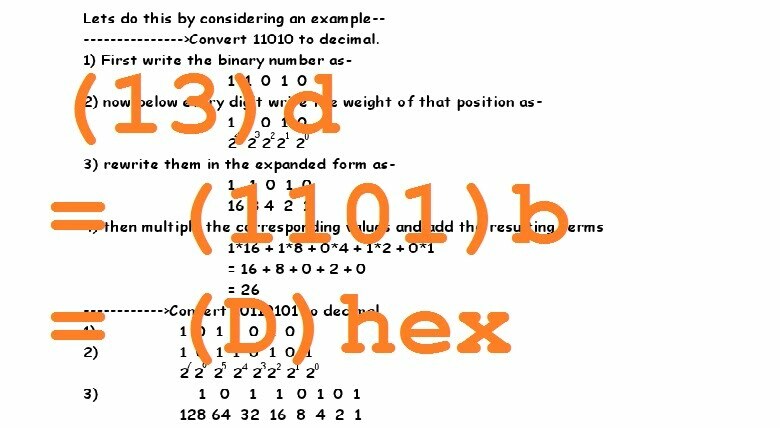 Realization of Boolean expressions using NAND and NOR. Replacing gates in a boolean circuit with NAND and NOR. 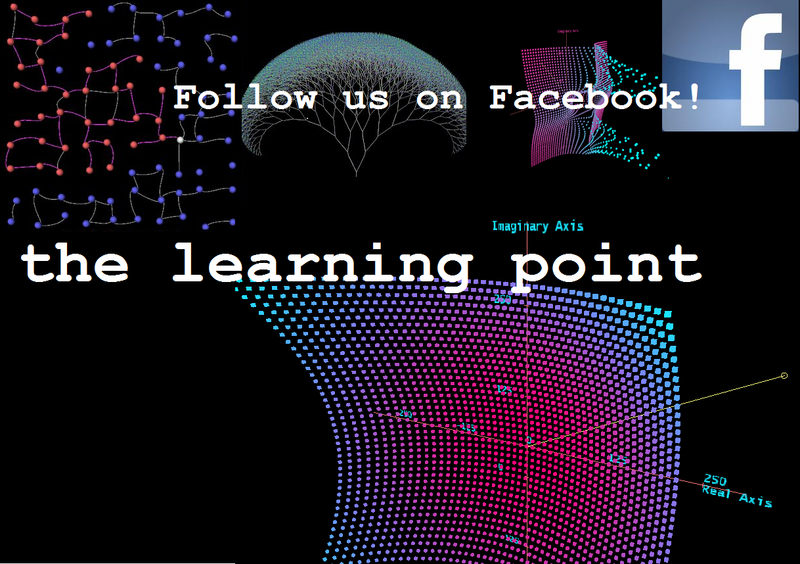 Understanding Karnaugh Maps : Part 1Introducing Karnaugh Maps. Min-terms and Max-terms. Canonical expressions. Sum of products and product of sums forms. Shorthand notations. Expanding expressions in SOP and POS Forms ( Sum of products and Product of sums ). Minimizing boolean expressions via Algebraic methods or map based reduction techniques. Pair, quad and octet in the context of Karnaugh Maps. Static and Dynamic RAM, Memory organization. ADC or DAC Converters and conversion processes. Flash Converters, ramp generators. Successive approximation and quantization errors.